Every year, I try to cozy up. There's nothing like a cool fall day to make you want to snuggle up and watch a movie or read a book. 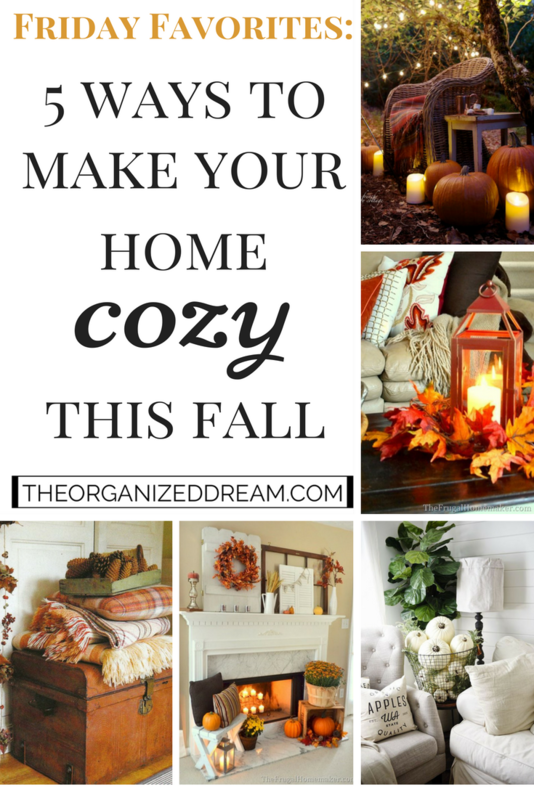 I wanted to share with you the five ways I would like to incorporate coziness into my home this fall. Now, I don't have a fireplace. A lot of people don't bu that doesn't mean that you can't create the same look with a table, bookshelf or even a space by a window. This pretty mantel from TheFrugalHomemaker.com is so pretty and bright and will look great all the way up until Thanksgiving. Pile on the blankets! I don't leave blankets hanging around very often. I try to stick with just one draped over the arm of my couch but an idea of leaving a stack of blankets like this from DreamBookDesign.com is so inviting. 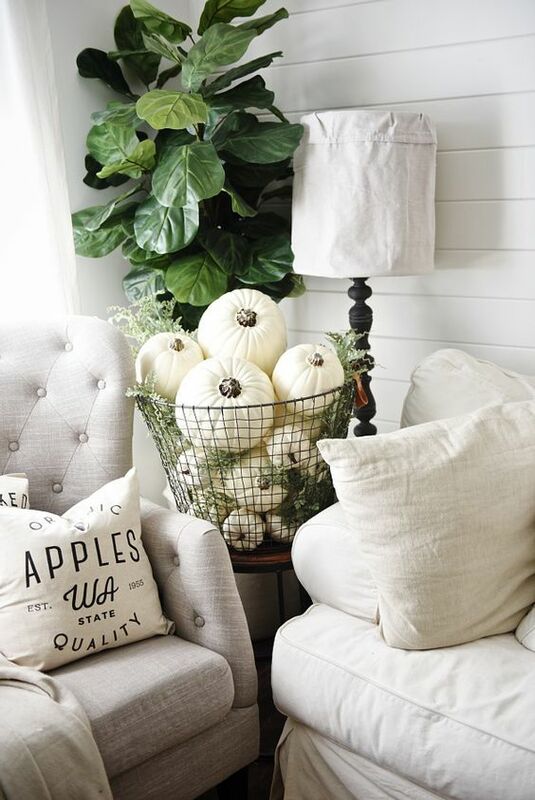 Decorating with pumpkins would have to be one of my favorite ways to decorate for fall. Their colors are so pretty and these white ones from LizMarieBlog.com add a pretty touch to this sitting space. Have a lantern? Use it! I mean, really use it. Take out the little trinkets and stuff we typically use to decorate them with and throw in a candle like this from HomeMajestic.com. 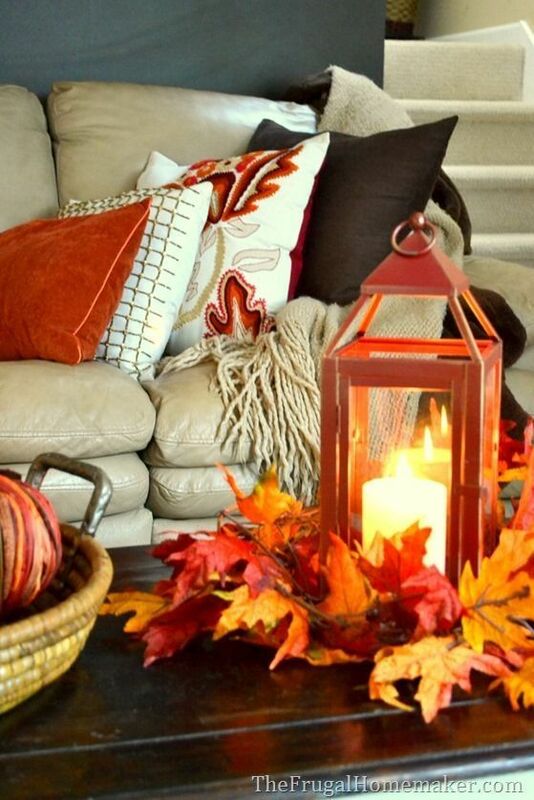 The warm glow is definitely perfect for that cozy atmosphere! Too afraid of the flame because of kids or pets? Flameless candles will work just as well! I'm in love with the idea of enjoying the cooler fall days sitting outside all snuggled up and this sitting area from FrenchCountryCottage.com is amazing. Grab some smores, some hot chocolate and a blanket and relax for hours. So pretty. Very comfortable, but elegant. Thank you, Nancy! I'll check out your post! I'm not quite ready to let go of summer (my favorite season!) yet but I do love the ideas you shared. I think my favorite is the white pumpkins, may have to attempt a variation of that one this fall. I used to love Summer, but I've gradually fell in love with Fall. The white pumpkins would have to be my fave! Some great ideas! I love the idea of stacking up some comfy blankets too. Nothing better! Thanks for stopping by! Thanks for stopping by, Janet! Visiting from the Waste Not link party. 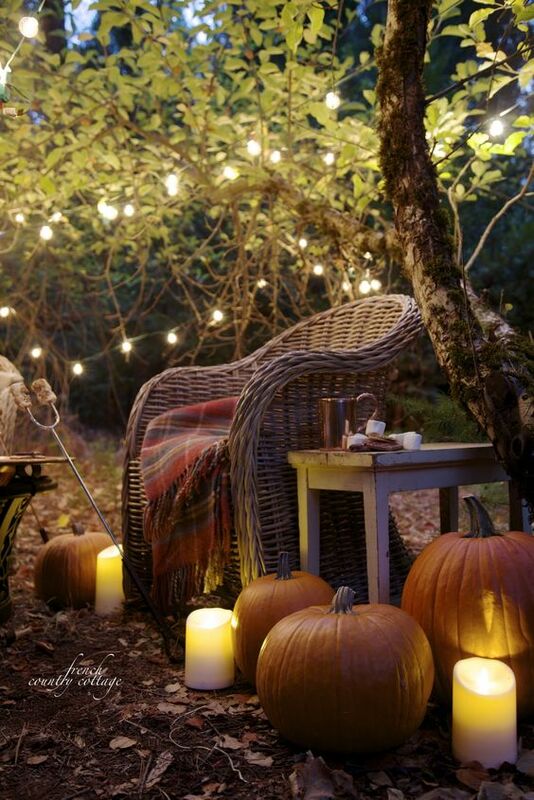 You have got some beautiful ways to make Fall cozy, I must admit. Love the pumpkins especially. I'm looking forward to when they start appearing around here. Love the lanterns too! 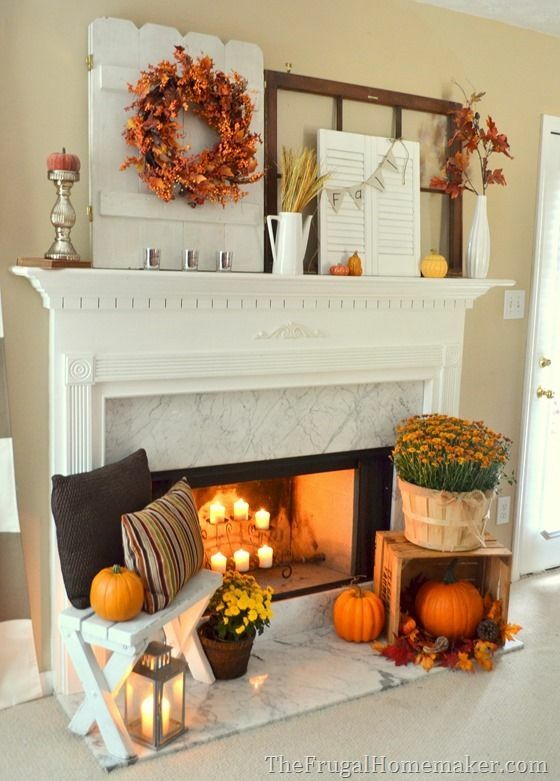 I love decorating my home for fall and you have shared some really wonderful ideas here. I especially like those colourful blankets! Thank you for sharing this post with us at the Hearth and Soul Hop. I've featured your post this week. 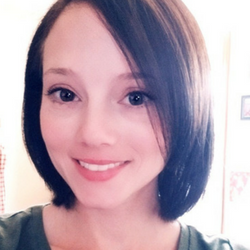 Thank you for the feature, April! 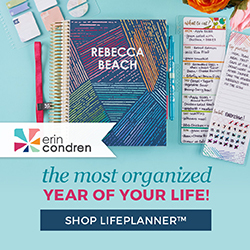 Great Ideas, thanks for sharing with Hearth and soul blog hop. pinning. Just love all of these Ideas! So cozy and warm! Love the apple pillow! 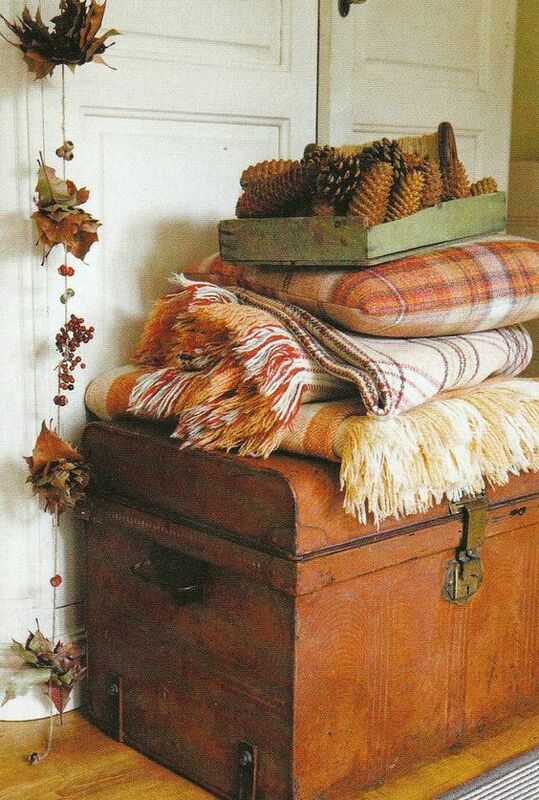 Some cozy looking ideas there, I particularly like the stacked blankets. I might have to do that. Thanks for sharing with #pocolo (sorry for the late comment).